One of the best multiple-destination trips for private jet travelers is the Caribbean. With thousands of islands to choose from and hundreds of top tourist destinations—plus the close-to-home convenience for American travelers—the Caribbean is hard to beat. Although there are hundreds of different destinations to explore throughout the Caribbean, one of the most popular for private jet travelers is the Bahamas and the Turks and Caicos Islands. Whether you’re chartering a plane for a special getaway for two, a corporate retreat, or whether you’re bringing the family along by private plane, you’ll enjoy a trip that covers the best of these two island groups. New Providence Island in the Bahamas is best known for the city of Nassau, the capital of the Bahamas. As a capital city, Nassau has a lot to see and do. It’s an incredibly popular tourist destination, and it has plenty of luxury resorts along its shores. If you’re looking for the ultimate vacation in the Bahamas, New Providence is the place to go, and JetOptions are the experts at flying you there. Lynden Pindling International Airport is the busiest airport in the Caribbean. Located in Nassau, it is the largest airport in all of the Bahamas. NAS underwent renovations from 2011 until 2013 when the final stages were complete. More than 5 million estimated passengers will Travel through the international airport by 2020. With US border preclearance facilities on-site, flights from the US operate as domestic rather than international for trips to Nassau. You can depart New York’s Teterboro airport and arrive in Nassau in a little over three hours on a light or midsize jet like the Hawker 800. For flights out of the Midwest such as Chicago, flying time is under four hours on a heavy jet such as the Challenger 604 or the Falcon 2000. Lynden Pindling International Airport operates under noise restriction during overnight hours, and there are two long runways. Private jet charter passengers have a choice of two fixed base operators (FBOs). Services at MYNN include on-site customs, private terminals, and ground transportation and car rentals. Aircraft services include 24-hour fueling, hangar services, crew car and pilot lounges. There is a multitude of excellent hotels and resorts on the islands. Look to Paradise Island, adjacent to New Providence for five-star luxury at the One and Only Ocean Club. With an 18-hole golf course at the resort and award-winning dining at the hotel’s Dune Restaurant, the One and Only is a top choice for a stay in Nassau.The Royal Bahamian Resort is one of the highest rated resorts in the area, and it easy to see why. Sandals is located on a private island that was once reserved for the upper crust of mid-20th Century society. Today Sandals is a luxurious resort with beach suites, cottages, and eternal beauty. Some of the best dining in Nassau can be found at the Graycliff, another excellent resort whose cuisine is dedicated to perfecting the convergence of Bahamian and European dining. The Graycliff restaurant is in a historic home, and there are four dining rooms decorated to reflect old-world elegance. There is plenty to do in New Providence, from historic ruins to pristine beaches. You can discover the history of New Providence when you visit Fort Fincastle. There are still high fortress walls with antique guns in place for battle. You can go on your own or hire a tour guide to interpret the fort for you. Another local attraction is the National Art Gallery of the Bahamas, an art museum on display in a historic home. Here, you can view art over the ages from many Bahamian artists. One more modern activity in New Providence is a trip to Paradise Island, where Atlantis has one of its most incredible resorts. Stay here, or spend the day at the world-class water park on the island. Acklins Island was originally settled by American Loyalists after the American Revolutionary War. Although it was once a profitable agricultural island, it is today most notable for its ancient native sites. It’s not overrun with tourists, making it an interesting place to visit on a private jet. Private air charter for Acklins Island will fly into the Spring Point Airport, (IATA) MXP, (ICOA) MYAP. The best place to stay on Acklins Island is IVel’s Bed and Breakfast. Although this doesn’t sound like a luxury resort, it’s extremely nice. You can choose from rooms, suites, and private cottages. All the accommodations are outfitted with elegant, antique-style European furniture. IVel’s also has car rentals available so that you can explore the island on your own time. On Acklins Island, diving is a big deal. If you want to go diving in a place where there are not too many tourists around, Acklins Island is the perfect place to go. Fishing, especially bonefishing, is also hugely popular. You can charter a boat to go deep-sea fishing if you like. Grand Turk Island is the largest island in the Turks Islands. It’s the cultural, corporate, and governmental center of the islands and it has a lot for visitors to see and do. Three hundred fifty years ago, the island was first settled as a salt harvesting island. Today, it has a booming tourism industry that revolves around its many beaches. This is the best place to visit if you have to pick just one island in the territory. The second largest international airport in Turks and Caicos is the Grand Turk JAGS McCartney International Airport. Located south of the capital Cockburn Town this is the second most major airport in the islands. JAGS McCartney has landing facilities for Boeing 757 and Airbus A321 class jets. The airport services both commercial and private jet charter clients. This airport is available to fly into and out of internationally and domestically. While there is no fixed base operator, private jets can still use the terminal facilities. This is an airport of entry for international clients, and there are fueling services available for aircraft. White Sands Beach Resort is one of the best places to stay and play on Grand Turk Island. Each room is beachfront, and the hotel has both a restaurant and a tiki bar. Also onsite is the Santa Maria Gaming Saloon, a casino where you can while away the day when you’re not on the beach. If you’re looking for good food, head to Grand Turk Inn for delicious cuisine. Go at sunset for the perfect view of the ocean! This restaurant has a deck that overlooks the open sea and is lined with picturesque palm trees. The food itself is delicious and created with an artistic touch. It’s some of the best Asian fusion food you’ll find in the Bahamas. The atmosphere and the good food create the perfect evening by the sea. Grand Turk Island is a favorite place to engage in all types of watersports. Scuba diving and snorkeling are especially popular; you can see all sorts of exotic marine wildlife beneath the waves. Sea turtles, colorful coral, rays, and more make the waters around Grand Turk a fantastic place to explore. Kayaking and canoeing are also fun things to do, especially if you’d rather not get too wet. There are also a variety of private tours are finishing charters you can enjoy around the island. Providenciales is one of the most beautiful islands in the Caicos Islands, and it houses a large population of the residents of these islands. The island has a five-mile-long tourist area, but the rest of the isle is seductively wild. The undeveloped charm of the island is what makes it so beautiful. Providenciales International Airport or Provo Airport is the main airport for the Turks and Caicos Islands and is the primary airport for commercial and private jet flights arriving internationally. This airport like many others in the region operates under noise restriction so late night flights are typically not allowed. There are two FBOs meeting the needs of private plane charter customers. Available services include customs on-site, private passenger terminals, rental car and ground transportation, aircraft fueling and maintenance, and hangar services are also available at this airport. Stay in luxury on Providenciales when you relax at Gansevoort Turks and Caicos Resort. The sleek, urban look of the décor and the breezy aura of the Caribbean coast complement each other perfectly, making this beautiful place to spend your time while you’re in the islands. You’ll find comfort and privacy in your beachfront suite or penthouse, and you’ll love the relaxing atmosphere around the resort. Soak up the sun at the infinity pool, or head to the spa for yoga and rejuvenation. Dine at the onsite Stelle Restaurant for tropical gourmet dishes at any time of day. For the ultimate Providenciales dining experience, head to Seven, the restaurant at Seven Stars Resort. The atmosphere at Seven is extraordinary; you’ll get to dine beside a waterfall and beneath opulent chandeliers while using beautiful tableware. The only thing better than the aura at Seven is the food, which is fantastically gourmet in every way. Taste various seafood dishes with grape sorbet in between as a palette cleaner and sip on the finest of wines. The beaches in Providenciales are the most popular attraction and should be at the top of your list. Grace Bay is the most famous beach, with white sands that contrast deliciously with the blues of the ocean. Taylor Bay Beach and Leeward Beach are also gorgeous places to visit. If you’d rather take a tour, you can go sailing and snorkeling around the island and get a new perspective on the beauty of the Caribbean. This island serves as a base for students of marine ecology. The rich biodiversity of the area and beautiful natural setting makes it also an excellent place for vacationing, especially if you love wildlife watching and diving. South Caicos Airport is a smaller airport, and like Acklins Island does not have private FBO facilities for private jet clients. Customs is on-site, but customers are arriving by private plane are sharing the main terminal. Stay at Sailrock Resort for the perfect vacay on South Caicos. This is the top luxury resort on the island, and it’s notable for being close to one of the largest coral reefs in the world. When you stay here, you’ll have the beach just steps from the door of your suite or villa, and you’ll have access to excellent dining, complimentary excursions, and the onsite spa. Dine at Blu for some of the best experience on the island. Enjoy French, Asian, and Caribbean seafood in a beautiful setting. Enjoy a delicious dinner, or come just for drinks. Either way, you’ll be sure to be satisfied and impressed. South Caicos is all about the beaches. If you’re looking to spend time relaxing on the beach, this is a wonderful island for you. To switch things up, head to the spa at your resort or Ayur Spa and get your body and soul rejuvenated. For adventure, go diving and learn all about the incredible wildlife in the Caribbean. There’s so much to see in the brilliant blue of the ocean! 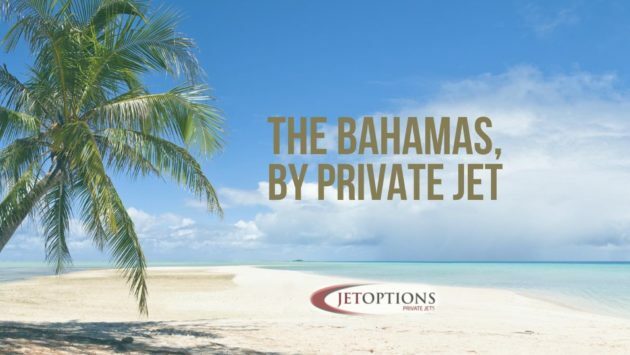 Call JetOptions Private Jets today for your next travel adventure to the Bahamas, Turks and Caicos, or any Caribbean islands you desire.